Tie bars should be both a practical accessory and an attractive finishing touch to your outfit. To get the look just right, your tie bar is best positioned between the third and fourth buttons of your shirt. Our pheasant tie bar is the perfect way to complete any shooting outfit. 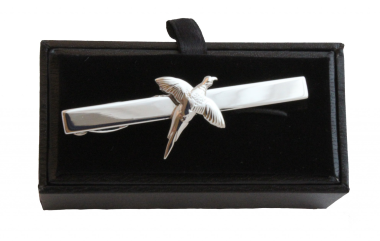 Presented in a smart gift box, this tie bar is a fantastic gift for any shooting or country man. The tie bar is made of nickel metal and is rhodium coated.